How? 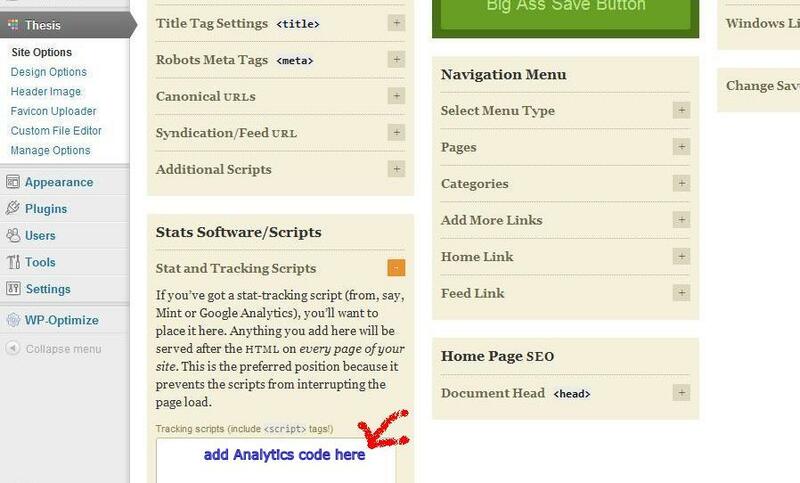 By just setting up the Google Analytics code in the Site Options. 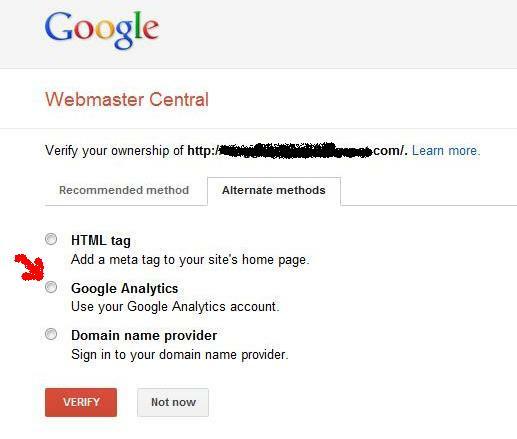 Once you set that up, you’ll also get verified once you add your URL to Webmaster Tool. Ok, let’s start now. Log in to your Google Analytics and add your site. Log in to your Google Webmaster Tool account. I assume you have this now as you use other Google products already. Click Add a Site and type the URL of the website you wish to add. Then click Verify. Choose the alternative option to verify using Google Analytics account as shown in the picture below. You’re done and all you need to do next is to add a sitemap. However, you need to add your sitemap to the Webmaster Tool to see more of your website’s performance, crawl errors, search queries, best keywords, most visited URLs and pages, internal links, URLs indexed and not indexed, site stats, and everything about your website performance, health, and diagnostic. To add a XML sitemap, the easiest and most effective way is to use a WordPress Plugin called Google XML Sitemaps. Once you had your sitemap address, type it at your Webmaster Tool and you’re all set to see an active tool forever. At Philpad, we also use the same plugin. You may want to read the related page, How to Add and Submit WordPress XML Sitemap to Google Webmaster. UPDATE: Webmaster Tools is now known as Web Console. Thanks for share your nice article post. Really nice solution about Google Webmaster Tools. It is very Useful for new blogger.